In today’s society, social media can have a substantial impact on branding. There are currently over 3 billion social media users who average 116 minutes per day on different social platforms. Of the 3 Billion, 1 Billion are actively using Instagram. These users are constantly consuming a stream of media inputs that manipulate their daily lives. By taking advantage of this, social media can be an effective way to showcase your business and convey your brand image. People are now more accessible than ever and these platforms are the most powerful methods of communication. By properly utilizing the tools that social media provides, you can capture an audience that is much larger than previously possible. Why is it crucial for Kingston Axe Throwing? First and foremost, it legitimizes a business. The majority of people look for socials before visiting websites. Visitors are certainly more likely to become customers if we have well established social media platforms, but also, having poor or no social media platforms can simply seem ‘sketchy’ or unproffesional. The saying “Don’t judge a book by its cover” does not apply to the social media world. A businesses’ social media platforms are exactly what people will use to make their first impression and can have a big impact on whether they become customers or not. Social media also acts as another way to interact and engage with the people that come through our doors. For example, by commenting genuinely and authentically on posts tagged at KAT, we can make them feel like valued customers! Social media is also the most impactful and cost effective advertising platform. Sign up is free and targeted posts/ads are usually very cheap. By frequently creating quality content, we can build a network of followers that engage with our posts. Based on the Instagram algorithm, the more engagement we get, the greater our audience becomes. If done correctly, all of these factors will come together to help create more business for KAT. Uses machine learning based on user’s previous patterns and interactions - everyone has different feeds/orders, even if they follow the exact same accounts. 3 main factors that determine the content you see: interest, recency, relationships. This means that if you regularly like, comment, or share content of dogs, Instagram will prioritize that media on your feed first. Any time sensitive content should be implemented through stories instead of posts. As mentioned above, recencey is not the number one priority for the algorithm. Therefore, if we have anything that is relevant to the next 24-48 hours, it should be promoted through Instagram stories. Algorithm doesn’t favour photo or video, but it will cater to personal preference. We must continue to create both! Biggest benefit will come from building an engaging community. More engagement = more reach = more business. The concept of engagement is quite self explanatory, but in regards to social media it can be more complex. Essentially, engagement measures the shares, likes, comments, reactions etc. that are received on social platforms. Put simply, it is how people engage and react to the media we put out. This can unfold in many ways. On a purely social media level, engagement leads to more engagement and this will grow our accounts in terms of followers, comments, and likes. On a broader level, this will transfer over to more people engaging with KAT as a whole. If we have people that follow us because they enjoy our content, they are more likely to want to visit KAT, or become a member of our league, or just be involved in someway. Because of this, we want to push company engagement on all levels. This is a concept created by Coca-Cola that breaks down how they divide their work efforts. Below is a similar and more specific approach for KAT social media content. 70% everyday content. Regular photos and videos that simply help promote and reflect the brand. For KAT, this is booking photos, staff shots, happy guests, or instagram stories. Simple and low difficulty. 20% innovation on the regular content such as improved video quality or production, professional photos, or curated media. For KAT, this is a gimbal stabilized video, a staff trick shot, or a tip of the day etc. 10% High risk, high reward. Something unusual that stands out. Experiment. For KAT, this could be a livestream or video submission contest, an Instagram poll, or some form of weekly series. We prioritize the things that are impactful, yet still quite easy. Engagement is the best example. Engage with clients, potential clients, Kingstonians, other businesses, brands etc. We can also do this by creating content that warrants engagement on its own. For example, a trick shot video will be more likely to be shared amongst friends than a simple photo of a booking party. Captions also play a role in this. If a caption has purpose and direction or even humour, it will do better. For example, a simple photo of someone throwing an axe should have a caption that pertains to something specific at KAT i.e Drop in night, or the league etc. We want to avoid useless captions, and instead use the caption to elevate the content. Have fun with it. This is important. The following points are guidelines/rules for posting and formatting content at KAT. Post content to Instagram twice a week to begin with - quality over quantity. Tuesday or Wednesday and Saturday or Sunday. Like 15-30 axe throwing related posts every other day. These do not have to be specific to KAT. We need to establish ourselves in the online axe throwing community and we can do so by engaging with similar accounts/content. Comment something genuine on every mentioned post. Frequently check our hashtags #KAT and #KingstonAxeThrowing as well as our location tag. Every new post should be acknowledged with a like and comment. Make the comment unique. If you were there for the booking and can add a personal note, even better. Use 5-10 hashtags on every post. Use hashtags that pertain to axe throwing or Kingston. DO NOT post the hashtags in the caption. Post hashtags in a separate comment on the post, but do this immediately after posting. Create a minimum of 3 instagram stories each week. These stories should not all be the same. We will opt for quality over quantity here. Get creative with these. Try to include location or a hashtag at the beginning of every new story. We will stick to a certain format for these. See the images below for examples. Instagram now has a feature that allows you to save stories as highlights on your profile. This is definitely something we should be implementing. It also has potential to become some sort of series. For example, we could have ‘Trick Shot Tuesdays’, where we post a trick shot to our story every Tuesday. We can then add this to our titled highlight and it will be one of the first things people see when they visit our Instagram. Notice that when including mentions, locations, time etc, they are lined up neatly along one side of the story in a curated and intentional fashion. When using GIFs, think about their placement. Use the example in the middle. The bottom of the GIF is cut off on the bottom of the screen so that it look seamless. The example on the right is what not the do. The sharp bottom line of the GIF sits in the middle of the story and doesn’t utilise the edges. These details might seem trivial, but they are not to be overlooked. Also, feel free to use fun instagram polls or questions for followers to interact with. We want our stories to be fun, aesthetic, and current. They will be viewed 10x more than our posts so keep that in mind. Livestream! We must take advantage of the technology we have, but not over do it. Save live streams for exciting moments. Perhaps your booking is in the final round, and the crowd is rowdy - perfect time for a livestream. Show viewers what KAT is about and make previous customers want to come back by showing the fun environment we have! 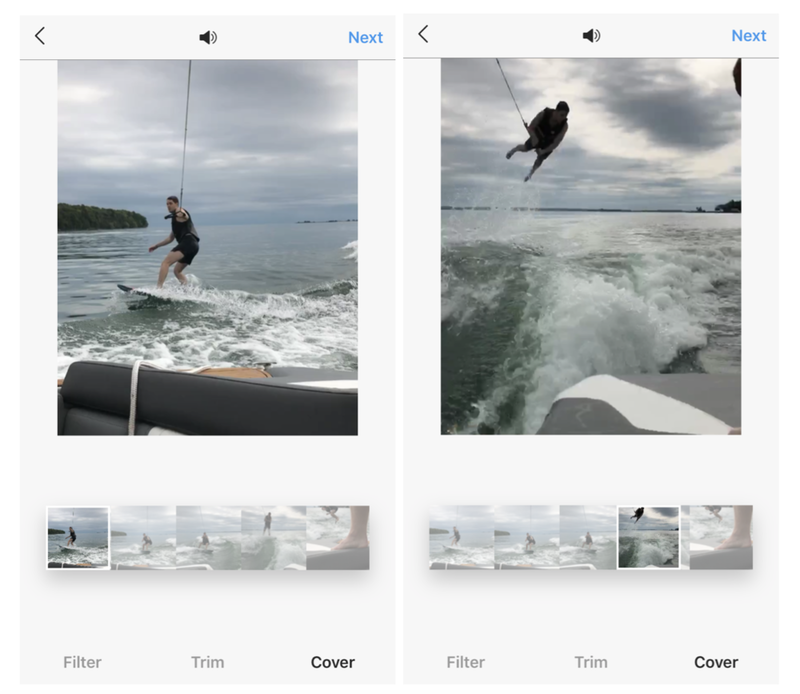 When uploading a video, Instagram gives the option to select your cover - meaning the thumbnail of the video. Use this to choose a cool or good looking part of the video. This is what people will first see on their feed and our profile, and should encourage them to watch it. Use the images below as an example. Both of the screenshots are from the same video, but the image on the right would attract far more viewers. It makes people wonder what is happening, how did it happen etc. The photo on the left is simple and basic. Think carefully when choosing thumbnails and try to pick something enticing! Like with anything else, it is important that we set goals. This will help us stay accountable to our daily tasks and will help keep our socials heading in the right direction. Feel free to update these, add to it, or create your own. 150 likes per post average. 3 or more REAL comments per post.